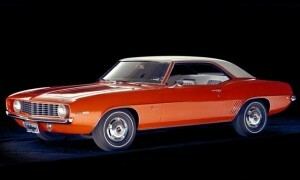 Cover your ears, Corvette lovers–the 1969 Camaro is the best Chevrolet of all time, according to Chevy fans. As part of its centennial celebration, Chevy asked fans to vote online for their favorite vehicle from the marque’s 100-year history. Nearly 125,000 people voted, and the Camaro edged out the 1970 Chevelle SS in the final round of the four-round elimination contest. Chevy design director Tom Peters agrees with the verdict: “Today, the ’69 Camaro has become one of the best examples of timeless design in the industry.